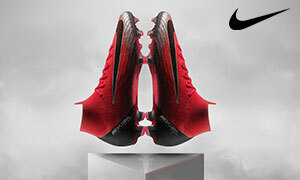 Nike has a tradition for releasing specialty boots for its World Class players. First it was Ronaldo 1998, then Ronaldino in 2006, Cristiano Ronaldo in 2010 and on March 5th, you can add Francesco Totti’s name to that list. The Tiempo Legend V Premium is a boot worthy to honor the Legend that is Totti. Francesco Totti has had a lustrous career for Serie A giant AS Roma. His resume is extensive and simply speaks for itself: He is Roma’s all-time appearance maker, goal scorer, and has been the captain for 17 years. Winner of the World Cup, Serie A, Italian Supercoppa & multiple Italian Footballer of the Year awards. 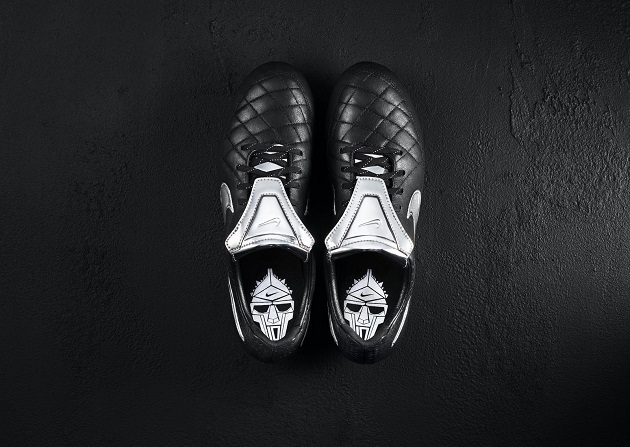 Nike has themed the new Nike Tiempo Legend V Premium by combining his warrior mindset on the field and a tradition of wearing all-black boots. The metallic silver aesthetics that cover the tongue and Swoosh logos mimic armor. A warrior logo inside the boot’s heel cup is one of the more unique features of the boot. It also includes Francesco Totti’s number (10). After leaving Diadora in 2011 Totti began wearing blacked out Nike Tiempo III’s. Totti has been a staple to the Tiempo line ever since. 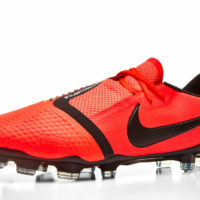 It is very possible that he will be wearing a Tiempo Legend V Premium boot that has a elastic band tongue. Nike has been altering his boots for some time to this request, however the retail release of the shoe will not include the band. 2010 was the last time that Nike offered an over-the-top tongue on its Tiempo line. One thing Totti is adamant about when it comes to his footwear is not showing his laces. The upper, of the Tiempo Legend V Premium is made of quilted Alegria leather This replaces the traditional offering of Kangaroo leather in the Tiempo V. Nike also cites the presence of Nike Hypershield that is common on the Tiempo V. The soleplate and stud configurations also remain constant with the Legend V.
Only a limited number of 3,000 Tiempo Legend V Premium boots were made for this special release. Each pair will be numbered on the outer heel cup in gold lettering. This boot looks really fantastic. I love playing in the Tiempo Legend V model. An upgrade in leather and a killer design aspect make me sad that I don’t have some loose change around here to drop on these boots. Since they are limited edition it would be a must have for someone looking to collect rare pieces of gear. 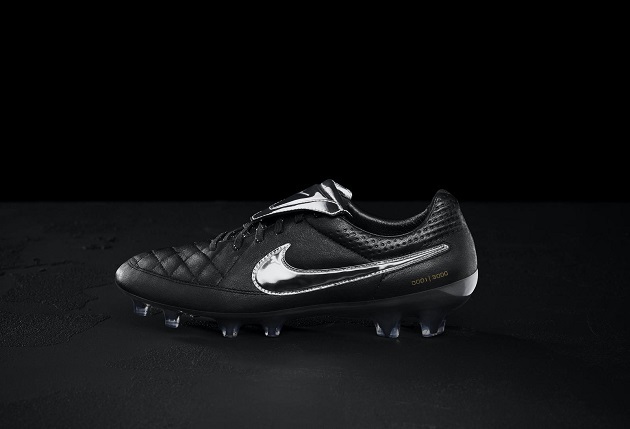 The Tiempo Legend V Premium is available exclusively on Nike.com. Make sure you set your alarm clocks for March 5th because these boots will go fast.